HPE InfoSight is the infrastructure management and support platform engineered to predict and preemptively resolve data center problems. HPE InfoSight solution is the manifestation of the necessary transition from reactive to predictive support. 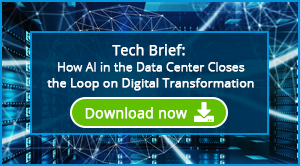 Consider it the ideal AI-powered analytics solution for the data center. It’s engineered to reduce costs, simplify complex deployments, and improve reliability and uptime. Self- Managing - HPE InfoSight provides the foundation for a truly autonomous infrastructure. It has the ability to self-manage, freeing IT from spending an extraordinary amount of time on manual tuning and low-level support issues—enabling IT to spend more time on strategic decisions for the data center and improving service offerings. Self-Healing - Minimize disruptions by predicting and preventing problems. Businesses are unable to effectively utilize their resources without self-healing data centers. Self-Optimizing - Delivers the ideal environment that balances performance, cost, and resources. HPE InfoSight minimizes the need for IT intervention, enabling staff to spend less time managing infrastructure. With the power of artificial intelligence, infrastructure analytics can anticipate issues before they occur and resolve them without human intervention. 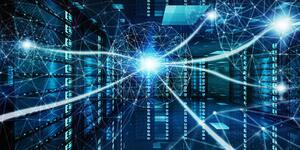 AI for the data center starts with having access to the right data. In the past, data from infrastructure has been limited to graphs and log files. HPE InfoSight takes a more comprehensive approach to data collection and analysis. Every second, HPE InfoSight collects and assesses millions of sensor data points from HP’s globally connected install base. Embedded sensors are built into every array, pulling in data from across the infrastructure stack. The data provides intelligence about the operation and state of the IT infrastructure. HPE InfoSight is not just analyzing individual arrays but all of the HPE arrays in its install base and their cloud-based AI platform. The solution uses machine learning to drive its cloud-based predictive analytics and recommendation engine. The main thrust of the predictive analytics engine is to eliminate disruptions. The role of predictive analytics is twofold, planning and expanding. The platform can anticipate performance and resources needed. Through telemetry from deployed systems, HPE InfoSight constantly fine-tunes its machine-learned models for optimal sizing accuracy. After deployment, predictive analytics enhances the support experience. The platform continuously searches for signs of problems and automatically resolves them before end users notice the issue. HPE InfoSight can precisely forecast future capacity, bandwidth and performance needs based on historical use and simulations. For IT infrastructure to be autonomous, it must be able to prevent issues before they occur. Proactive performance improvement requires analytics to not only predict future problems but also to actively recommend and decide how to optimize the infrastructure. The HPE InfoSight recommendation engine relies on its predictive capabilities to notify IT how to prevent problems, proactively improve performance and optimize available resources. For example, a failed disk drive would be a simple and common problem. This type of incident makes up the majority of the problems IT has to deal with. About 80% of the issues cause only 20% of the pain. HPE InfoSight has automated the prevention of these types of problems, which eliminates the need for L1 and L2 support. The obscure issues that are complex and unique represent about 80% of the pain. The uniqueness of these types of problems require an AI recommendation engine. The recommendation engine is using global heuristics from HPE’s deep telemetry and AI to predict these complex and unique problems. The HPE InfoSight recommendation engine relies on expert defined and machine-learned predictive models. The predictive models then feed the prioritization matrix to provide customers with recommendations based on real-time telemetry. The result is automatic, preemptive, and prescriptive, using machine learning to predict long tail complex problems. The reality of data center management is that optimal performance is impossible with traditional IT analytics. The conventional reactive method of support is inadequate. It results in unacceptable outages and expensive failures enterprises can no longer afford. High-performing data centers demand a new AI-powered solution such as HPE InfoSight.